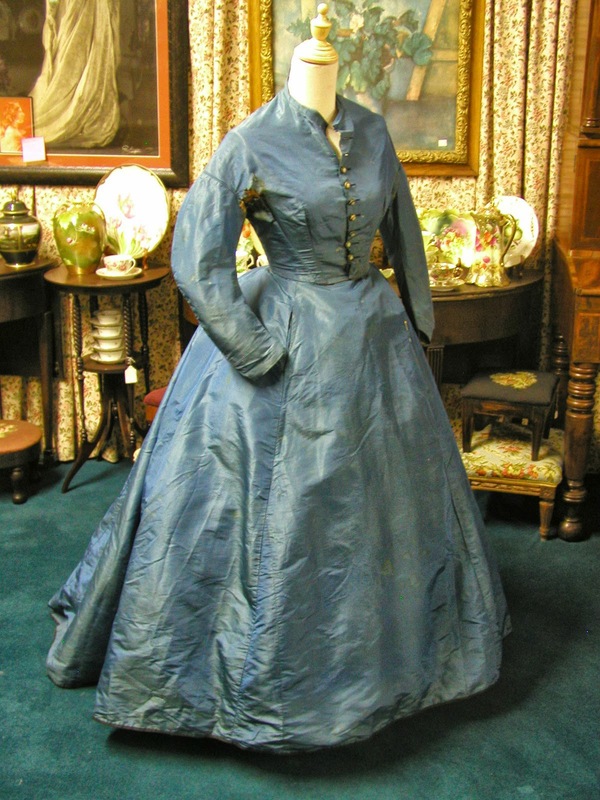 D584, 1860's Civil War Era 2 Pc Blue Dress: This dress from the Civil War era is made of a blue taffeta that is actually darker than the photos. It has a waist of 24, a bust of 31, shoulders of 18, waist of skirt 24, length is 41 and it is 176 inches around the bottom. This dress is in rough condition. 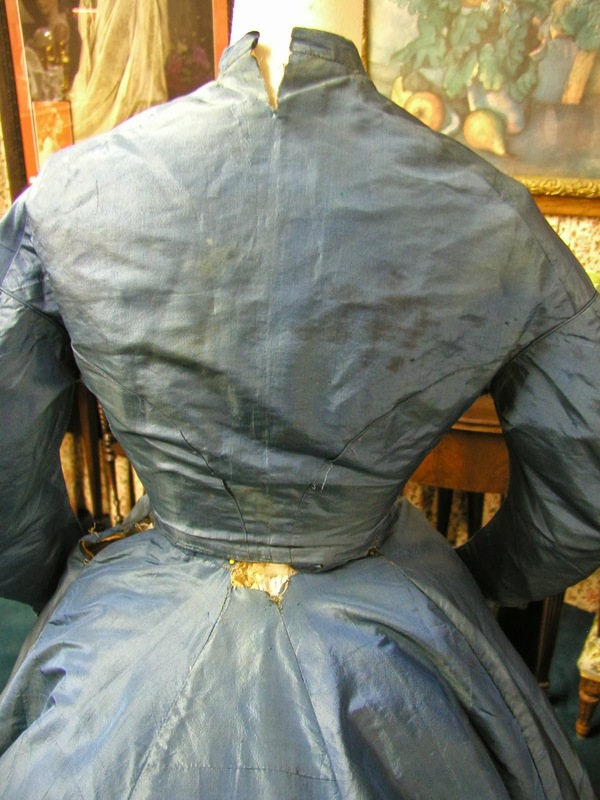 It is more for design: however, with some clever accessories like the black Chantilly lace shawl we are selling in another auction it would also make a nice display. If you learn to hide the issues that antique clothing have you can make a wonderful display of garments that are not in the best of condition. 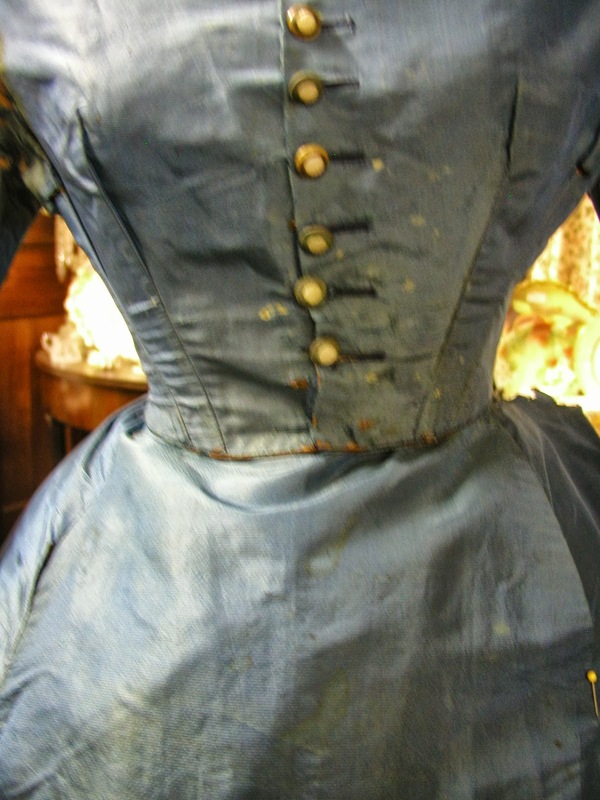 The bodice is in very ruff shape. Two button holes have worn through, there is wear to the lining, a three inch tear from the top straight down at the back neckline, it is missing buttons and has horrible under arm tears and stains. The buttons are rusted. The bodice also has staining. I had to pin the skirt to the dress form because of the wear, damage and issues with the waist band. 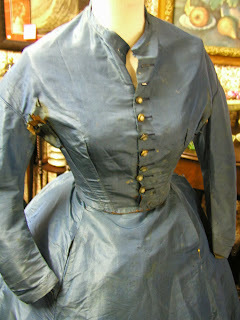 The skirt has stains throughout but I don't find any holes. 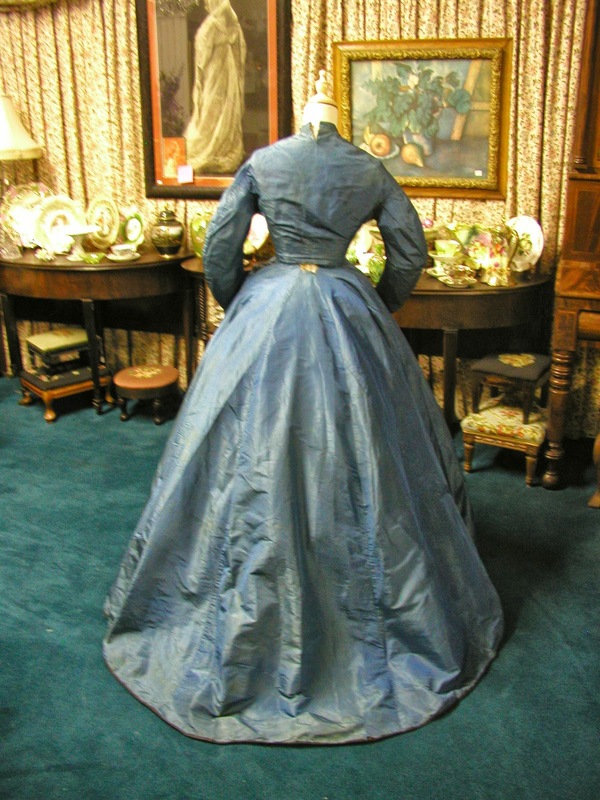 It has one seam that needs five inches sewn back up, there are four places on the waist band that need to be reinforced, repaired or covered. There is a 4 inch seam at the bottom of the skirt that has come loose. 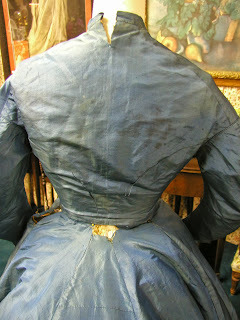 As you can see this dress looks like it was well loved and worn. The bidding is starting at .99 with no reserve. 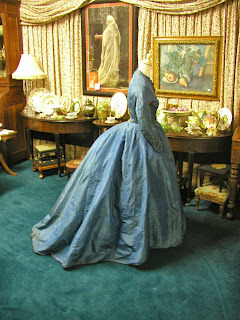 Check out our other auctions. What a beauty this must have been in it's day!